What is a commitment? 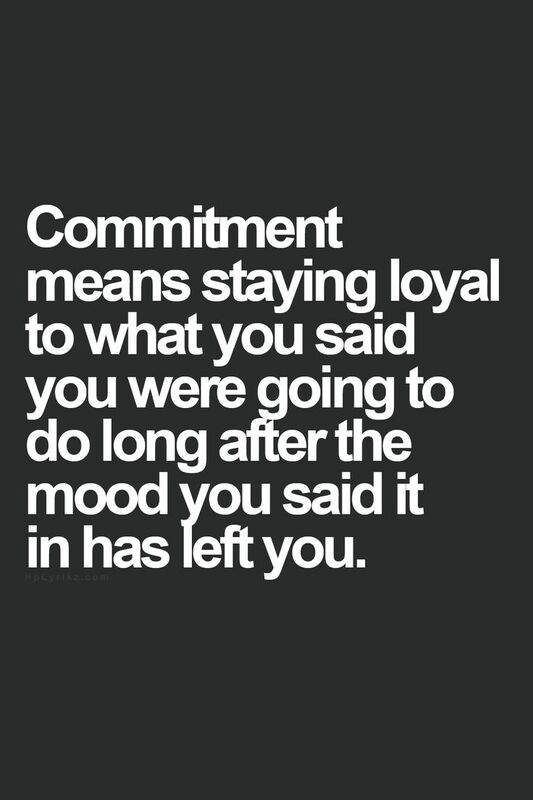 A commitment is an agreement that is (1) a fact demonstrated by observable and measurable behavior and (2) an attitude that reflects a consistency and alignment in thought and belief. For example, a committed relationship is one wherein one’s behavior demonstrates commitment in an operational and observable way and one wherein one’s thoughts and beliefs about the relationship are consistent, and in alignment with, the notion of that commitment. If one says one is in a committed relationship but never has time for one’s partner, that is not commitment. If one spends 95% of one’s time with one’s partner but is consistently wishing or wanting to be elsewhere, not sure if the relationship is the right one, or fantasizing being with another person or persons, that is not commitment. What is harmony? Harmony is a state in which there is congruence among what one says, feels, thinks and does. When one or more of these four elements is not in alignment with the others, one will not experience harmony; rather, one will experience a feeling of imbalance that results in little true and real joy, happiness, meaning or purposefulness. In a state of imbalance, one is moving drone-like though life at work, at home, at play and in relationship. When we’re committed, we show we care deeply and are engaged – yes, even at work. For commitment to be conscious and healthy, four elements are necessary: (1) be clear about who you are, what you want in life and know how to get what you want; (2) have a clear set of well-defined goals for your life (at work, at home, at play and in relationship) which are in alignment with who you are, and your core values; (3) conscious preparation for the commitment – have the physical, mental, emotional, intellectual, social, psychological and communication skills that will support your choice to commit; and (4) actually committing – making the conscious choice to commit, engage and participate. The path to true and real happiness is paved with commitment. No commitment, no happiness. Perhaps a faux happiness, the appearance or illusion of happiness, but not the real thing – a phony and fake happiness that is ever ephemeral and fleeting. Always looking for more and for “the next best thing,” or person. Consider those who consistently say they are unhappy at work, at home, at play and in relationship. What’s most often lacking is commitment. How so? Most probably because they have never truly sat down and reflected on their deeper, core life requirements or the core values underneath such requirements. More likely, what they have done (beginning in childhood and moving through adolescence and into early adulthood) is come up with a list of work-life-play requirements based on someone else’s beliefs of what’s right, necessary, good or important and as a result became indoctrinated along the way with other folks’ beliefs about what’s important – parents, extended family members, media, Reality TV, politicians, corporations, friends, salespeople, competitors, teachers, clergy, academics, bosses, military leaders, and the like. But, sadly and unfortunately, they never took the time and energy to consciously explore inside and ask themselves what they really, really want – an exploration that comes from their deeper, heart-felt, soul-driven place. Rather, they followed lock-step, or blindly, someone else’s vision or goal. It’s no wonder they cannot experience commitment. One way to identify those who’ve never taken the time to deeply and consciously explore work-life-play-relationship commitment in a truly meaningful and purposeful way is to observe how they are characterized by (1) a lack of clarity about their life purpose, their core values or the place of spirituality in their life; (2) a consistent tendency to look outside themselves for life’s “answers; (3) a limited ability for, or tendency to, self-reflect; (4) a lack of clarity about “who I am; and (5) a low-grade-fever type of state where they experience frustration, overwhelm, agitation, unhappiness and discontent on a regular basis. How committed to, and engaged, are you with your activities during your day at work, at home, at play and in relationship? How do you manifest commitment, dedication and passion? With respect to your career, your relationships, your health, your friends, your family, your finances and your happiness, how committed are you and how indifferent are you? If you say you are committed and devoted, are you committed in fact and in attitude? Or, are you just going through the motions, being habitual, or being half-hearted? How might others feel about the degree of your commitment and engagement? Do you ever emotionally, verbally or physically bully, become overbearing, or manipulate others because you are committed against something? Do you find yourself delaying, denying, deferring and procrastinating because you are not 100% committed to someone or something? Do you ever doubt the value of your commitments? If so, when? Are you afraid to let go of that which you are not committed? Why do you hang on? Do you ever “act as if” to make believe you are committed? When was the last time you took time to seriously reflect on who you are, what you want in life or why you may be feeling uncommitted to someone or some thing? How do you know your values are your values and not someone else’s values you just took on as you grew up and matured? Do you ever “go along to get along” when you know “deep down” that it’s bad for you? Why? Do you become defensive when someone questions your life-work choices or your values? Do your values and beliefs ever contradict one another? Do you ever notice a conflict between your external or public voice (what you say to others) and your internal and private voice (what you believe and say to yourself quietly) while in conversation at work, at home or at play? Does this make you curious? Do you feel your life reflects “harmony”? How did you learn about commitment growing up? So, you’re taking a summer vacation. Really? New York University sociologist, Dalton Conley, recently coined the term: “weisure” – the result of blurring the line dividing work and leisure. More and more, work is carrying over into folks’ leisure time. It appears that places and activities usually regarded as “fun only” are now work-play ambiguous. No surprise here! Some, including Conley, say the work-leisure phenomena is happening because more folks are finding work to be fun and want to stay connected during leisure periods. Really! Fun! Who’s kidding whom!? For couples and families that have an honest, true, sincere and intimate connection with one another, I wonder how they view the “fun of weisure” as a reason for disconnecting with one other at home, at play, or on vacation. Perhaps you can ask ten of your closest friends how their spouses, partners or children feel about the separation caused by one of them experiencing all the “fun” while conducting business at home, or on vacation. Rather than enjoying the “fun” of doing business and choosing to stay connected 24/7, 365, my anecdotal research says folks are (1) inundated with more and more work they cannot handle in a “normal” workday work and/or (2) fearful, guilty or anxious that if they don’t stay connected 24/7, 365, they may find themselves out of a job, and/or (3) they are addicted to their computers and/or (4) they have become emotionally disconnected from their families in favor of social networking and connecting outside their relationship – their “lover” or mistress is now the Internet. My take is that “weisure” is NOT ubiquitous because work now has more “meaning” or provides “fun.” The test – “If you won the lottery today would you continue to work as long and as hard in a 24/7, 365 “weisure” world? Be honest. The really upsetting fallout of living in a “weisure” world is sacrificing one’s privacy and the abdication of precious relaxation time. With the increasing blurring of work and leisure, research shows fewer and fewer folks are actually taking vacations. Many feel not only that they have to stay connected on holidays and weekends but that they actually fear they might lose their jobs if they went on vacation. And for those who actually do take a vacation, how many need to “unwind” after they come back from a “weisure-driven” vacation – as stressed when they return as they were before they left? The number of these folks increases yearly. Stressed out, overworked and overwhelmed, many folks need time off but are worried and fearful that a short vacation could lead to a permanent one. They feel dammed if they do; damned if they don’t. Not a very psychologically healthy place to be. The psycho-emotional-mental-physical effects of a “weisure” lifestyle are quite disturbing. More and more folks are experiencing stress-related dis-eases and illness, family dysfunction and disruption, and really rough times holding it together at work. The workplace is being populated by ever-growing numbers of disengaged, unproductive, underperforming and exhausted employees – not to mention those experiencing serious states of depression, addiction, self-neglect and serious overt or silent anger. At home, these folks now have no idea how to “take it easy” or relax without working. Simple, taking time for one’s self is a non-negotiable “must” to maintain a healthy mind, body and soul. It’s impossible to run a car engine on all cylinders 24/7, 365. The human body, mind and psyche are no different – dependency on energy drinks notwithstanding. Leisure time and vacations, spent consciously, serve as preventative medicine. They allow time for de-stressing, decompressing, rejuvenating, replenishing and re-connecting with one’s self. It is when we consciously allow a real genuine opportunity of space for relaxation and novelty that we can discover the unconscious level of tension and stress we’ve been carrying day-to-day. In fact, the first few days of vacation usually begin the process of unwinding, which is followed by the recognition of a need for rest, relaxation and a deeper settling of our body, mind and spirit. And, if you’re fortunate, your vacation is long enough to allow you to enter into the phase of real rejuvenation. When was your last “real” vacation? What does “vacation” mean for you? Do you take the type of vacation that really nurtures and nourishes you? Be honest. How do you experience your self on vacation? Do you enjoy your “self” away from the everyday routine? Were you able to really disengage or were your Blackberry and laptop traveling companions? What was vacation like before you had a SmartPhone, IPhone, Blackberry, laptop or other digital gadget? Has your relationship suffered because of your “weisure” activities. Be honest. What would you spouse, partner or children say? Do you ever stay up late because a friend continually calls you to vent? Do you ever spend valuable time during your work day listening to a colleague who consistently needs to vent? Do you ever find yourself falling behind in your work, or losing sleep, because of listening to the same folks who continually need to vent? And if so, do you justify or rationalize your loss of time or sleep because, “I’m a friend and I wanted to be there for him.”? If so, how often does this happen? And, even more, why do you continue to listen to these same venters? Of course they feel better! Why wouldn’t they? They’ve just dumped all their stress onto you. They go to sleep and you’re up with their stress. Or, they’ve gone back to their work and you’re still living in the aftermath of a stress-dump – foggy, overwhelmed, confused, upset – energetically and emotionally drained and exhausted. BUT, do you see anything actually changing in their life as a result of your allowing them to vent? So, I ask, if these same folks wanted to go out with you after work every couple of days and get drunk, or come over to your house a couple of times a week and get drunk at your house, would you allow this? “No!”, is what I’m thinking you’re thinking. There’s no difference. These venters are using venting as an addiction to avoid taking responsibility for their feelings and their state in life. Notice, they are not spending the time with you exploring what their role is in creating their upsets, their pain, their suffering. They’re not learning about what they can do differently so they don’t reach the point of anger and anxiety and then feel free to dump on you. There is no learning or change happening, no forward, positive movement in their life. And, your stress, in response to the venting, is letting you know that listening to this is not good for you either. What do you feel instinctively? How does this resonate with you? Do you feel you have the intestinal fortitude, the strength and courage (and self-love, and compassion for the other person) to respond in this manner to your friend or colleague? Is this something you’d be willing to say? EVEN IF they might get mad at you? Yes, they probably will be mad at you. Most people do not like it when someone calls them on their stuff, on their addictions, and refuses to participate in enabling them anymore. So, are you willing to have them mad at you? Truth be told, listening to their vents is not loving to yourself, and therefore not loving to them. It is far more loving and supportive to both you and them for you to stop enabling their addiction, even if they don’t think so. And, suppose they decide they don’t want to remain your friend or close colleague? Well, what does that tell you? Really, really tell you? What would this tell you about their perspective on friendship, about their care and concern for you as a friend or colleague? Right, a one-way street – in which they are simply using you for their gain and could really care less about true and real friendship. If your friend or colleague pulls out of the friendship because you don’t want to listen to them vent, then, honestly and truly, they are NOT really a friend, a close colleague. What their reaction says is that they wish to go on continuing to act like a victim, choosing not to take responsibility for their self and would rather continue dumping their feelings onto you. So, what do you think? Hang on and play the enabler of a co-dependent, unhealthy, enabling relationship, or have real and true friends and colleagues with whom you can learn and grow? Are you someone others continually seek out in order to dump their stuff, to vent? If so, why do you think this is so? Is your relationship with a venter an honest, mutual relationship? Do you enable others to be venters? Do you “get something” from their seeking you out in order to vent? Are you addicted to their venting? Do you encourage and support others to seek solutions and move forward in their lives as opposed to simply allowing them to vent? 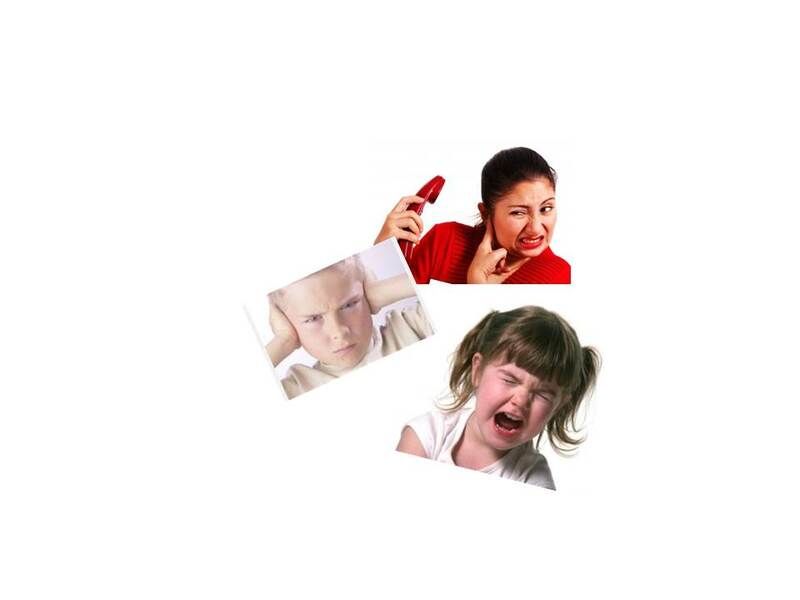 Does others’ venting cause you stress in some way, shape or form? If so, is this OK? Do you put up with it? If so, why? Are you a venter? What would your close friends and colleagues say? Are you afraid to confront close friends and colleagues about their venting, to tell them you will no longer passively listen to their vents? If so, why? What are you afraid of? If you are a venter, what does venting get you? Really, really get you? Has venting changed your life for the better in the long run? Are you more comfortable venting than you are seeking real solutions to your challenges? What was your experience with others’ venting as you were growing up? Do Filters Affect How You Listen? Try this visualization exercise. Imagine going through your day – at work, at home or at play – with large coffee-maker filters over your ears. Imagine that in each interaction and conversation you experience, the other person’s words travel through the filters covering your ears before actually entering your ears and moving into your mind/brain. In reality, this is was happens every time you engage in a conversation with another human being, although for the most part, it’s unconscious. The point here is to become aware of the (unconscious) listening filters each of us has developed early in life and now carries with us into our adult life. For example, if you grew up with a highly critical parent or primary caregiver, you may have created a self-image or belief (filter) that now translates as: “I’m bad. I’ve done something wrong” which then becomes a listening filter that “taints” many of the communications you hear – listening for, expecting to hear, a critical judgment of you. 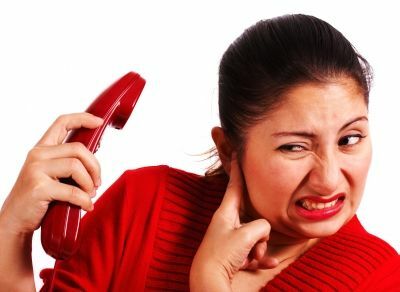 So, for example, if your boss, a colleague or a spouse or partner says to you “I’m feeling upset right now,” you immediately point an accusing finger at yourself and begin to search for what you’ve done or not done to cause this person to feel upset with you – as opposed to just “hearing” what the other person said (that they are upset) and taking it in objectively without any self-judgment or self-accusation. I need to fix you. Another belief or self-image filter that you may have taken on in childhood and brought into your adult life is the “listening to fix” filter that tutors your conversations. When this filter is active, you might respond to your boss’ or spouse’s comment by saying, “Why don’t you sit down and relax for a few minutes,” i.e., the need to prescribe to, or “fix” someone. I need to judge you. Look what just happened to me! Other popular filters include: listening for approval, listening to control (or avoid being controlled), listening to minimize, listening to prove or disprove something. When we listen through a filter, we are “listening”, not “hearing.” When our filters are engaged, we miss what is being said and when we miss the meaning, the energy underneath the words, the emotional content of the message, we most often “react” unconsciously (rather than “respond” meaningfully and consciously). When reacting, we often distort the message and the meaning, and direct our conversation and attention to the distortion. When reacting, we’re unable to connect with another’s actual words and experience, or to respond in conscious, creative, supportive, and compassionate ways. As in all change, awareness is the first step. So, in this listening context, the first step toward becoming free of your listening filters is to become aware of them. Most of us have a few primary listening filters and several secondary ones. It may also be that you engage specific listening filters with certain people or in certain situations. For example, you might listen to “fix” with your spouse or partner, and listen “for approval” with you boss, or vice-versa. As your awareness expands beyond your listening filters, you can also make new communication choices. For example, you might respond to “I’m feeling upset right now with: “I hear that you’re feeling upset. How are you experiencing that right now?” or “What’s that like for you?” or “Can you say more about that?” These kinds of filter-free communications can meet the other person’s experience and open the door for the conversation to evolve in new ways ( along with your own evolvement as a “human of be-ing”). So, be gentle with yourself and give yourself plenty of time to uncover your unique assortment of listening filters. Often as one disappears, another is revealed. Make it a game to notice your filters, love yourself for having them and see how many other ways you can invent to shift out of them. If you’re like me, when you do this, you may experience true and real “hearing” for the first time. Would your closest friends say you’re a good listener? Can you think of a recent conversation where your filters were engaged? What was that like? Do you know someone who listens to you without filters? What is that like? Can you remember some of your earliest filters growing up? Did your parents or primary caregivers listen to you with filters? Which ones?